Q: My son came up here and there’s a pain in my heart. It’s like something isn’t completed with him. I still carry him. I carry his pain, but sometimes I see that I can be loyal to his little self and I know that’s not what he needs. I have a little guilt of my own for being so ready to take off and let my children go their own way and have their own path. I feel I need to show them and I can’t because I need to first settle in that myself. John: Cut the strings. Cut the strings from the level within that you’re accustomed to relating to with them. Surrender to the deepest level within that you’re aware of and there you’ll be realizing most fine, delicate strings that connect to them, strings that are all like your being and theirs. Your patterned relationship with them can gently come apart. The relationship will be in the care of the deeper level that you’ll be coming from. 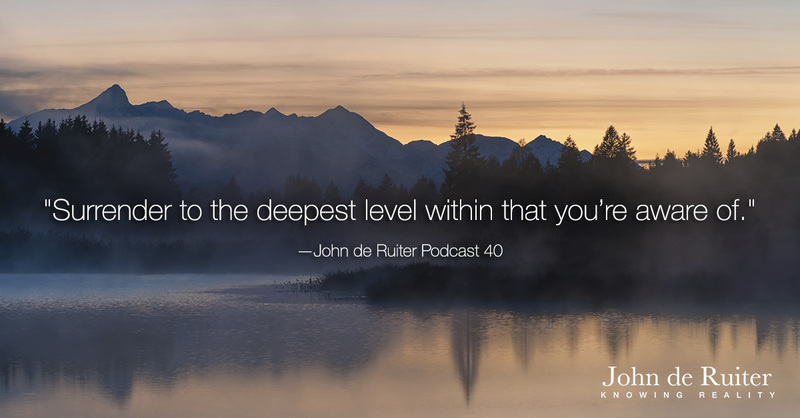 It isn’t able to move to the deeper level if you’re holding to the level that you’re accustomed to. The level of relationship with them that you’re accustomed to isn’t able to reach the deeper level in them or in you. Q: I miss being in the deep with them. John: The pain of that in your heart will help you in your use of delicateness. Q: How can I use delicateness? John: Use the fine, fine strings that are of the deeper levels. They are most delicate. You can pull on them. You can use the strings. It is with the delicateness of being that you use them. Anything else that uses them will break them. Q: “Anything else?” What could that be? Q: Of being a good mother. John: Personal need of anything. Personal need breaks the strings of delicacy. As you break them, you become calloused to them. You become thick-skinned toward them. Personal need makes you thick-skinned toward others and thin-skinned toward your likes and your dislikes, insensitive to others, insensitive to what you want from others, including your children. Your coming from the deeper levels within will change what you’re relating from in your relationship with them. Coming from the deeper levels within will change all of your relationships. Q: I look forward to that. John: They will be realizing a level of “mother” that they haven’t seen before. They might not like it, but if they’re honest within, they’ll recognize the truth of it. Your moving to the deeper levels, and from within them setting out in what you know, is the best that you can give them. They will recognize in you what is next for them. They’ll know the way because they’ll see it in you. Your living example is of greater value than the old relating. It’s a kindness to them. This is what you are made of. Make decisions that favor this. Form your self and your life in a way that favours this.